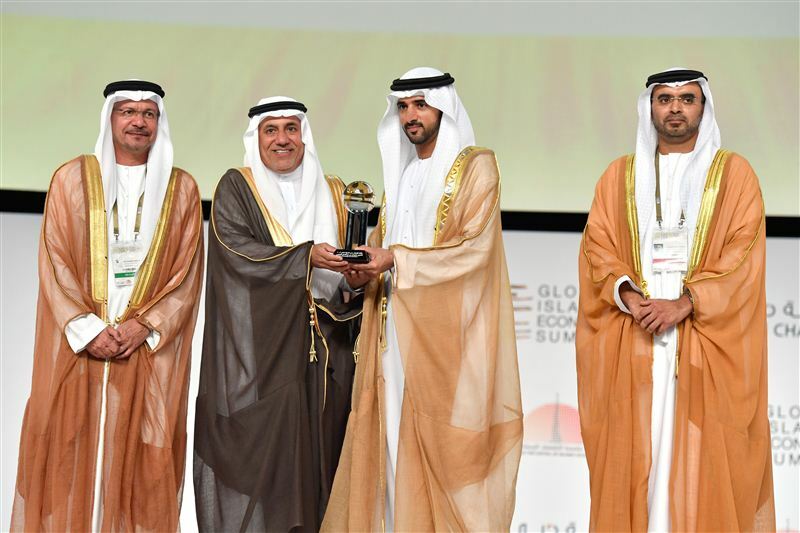 Crown Prince of Dubai and General Supervisor of ‘Dubai the Capital of Islamic Economy’ plan Sheikh Hamdan bin Mohammed bin Rashid Al Maktoum, today attended the opening of the third edition of Global Islamic Economy Summit (GIES 2016) in Dubai, and honoured winners of the fourth edition of Islamic Economy Award. The Summit attracted more than 3,000 delegates including leaders, decision makers, experts, and specialists from all sectors of the economy, apart from academics from the world’s largest universities and academic institutions. The inauguration of the summit was also attended by Deputy Ruler of Dubai Sheikh Maktoum bin Mohammed bin Rashid al Maktoum, Chairman of Dubai Civil Aviation Authority and Chairman of Emirates Group Sheikh Ahmed bin Saeed Al Maktoum, and H. H. Sheikh Mansour bin Mohammed bin Rashid Al Maktoum, along with a number of dignitaries. The third edition is jointly organised by Dubai Chamber of Commerce and Industry and Dubai Islamic Economy Development Centre, with Thomson Reuters as strategic partner, under the theme "Inspiring Change". Ameenah Gurib, President of Mauritius, delivered a keynote speech highlighting the importance of the Islamic Economy, and what it takes to develop the sector. She spoke about Mauritius’ experience in the development of a Sharia-complaint financial sector. "The development of Islamic banking requires the continuous development of Islamic products. Shariah boards have the responsibility to protect the rights of all shareholders based on the rights and laws of Shariah. Globalisation has made risk management very important. It is necessary to devise a Shariah-compliant risk management solution, while in tandem, formulate a strategy for risk management and understand the role of derivatives and risk sharing," she said. President Gurib added: "Although when compared to the UAE, it is still relatively in a stage of infancy, the interest from citizens and the core Sharia principles on which Islamic banking is founded leads me to be very confident of the future of such a financial industry in Mauritius." Minister of Cabinet Affairs and the Future and Chairman of the Board of the Dubai Islamic Economy Development Centre Mohammad Al Gergawi said that the Islamic economy offers huge opportunities that can lead to the prosperity and stability of societies, especially with the development of tailor-made Islamic services that match today’s needs. "The ability of the Islamic Economy to maintain stable growth even in non-Muslim countries is a clear indication that we have the means and solutions to solve many issues related to development in the Islamic World, and to send a clear message to the world that the true objective of Islam is the happiness of people and its priority is the welfare of societies," he said. "Three years ago, His Highness Sheikh Mohammed bin Rashid Al Maktoum launched his strategic vision for the Islamic Economy, where he set a time frame of three years to achieve it, which includes sustainable development and continuous prosperity. 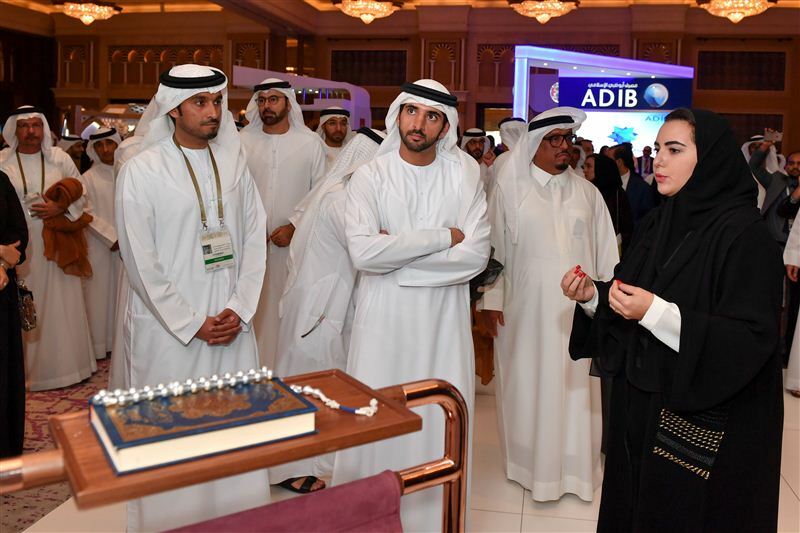 The ‘Dubai the Capital of Islamic Economy’ initiative was launched with a firm belief in the importance of the Islamic Economy in the global economy, and its potential as a development tool that has not been utilised fully," Al Gergawi said. Al Gergawi said that the team had three years to achieve the objective, and collaborated with strategic partners from the public and private sector to come up with the mechanism to develop seven sectors of His Highness’s initiative, which include: Islamic finance, Halal industry, certificates and standards, digital infrastructure, family tourism, knowledge and Islamic culture, Islamic Design and the Arts. "In less than three years, the strategy has brought results. Dubai has become the international hub for Sukuk listings and the volume of Sukuk issued in Dubai increased to Dh135 billion in 2015 from Dh26 billion," Al Gergawi said. "Dubai has also taken the lead in the Halal food industry through the launch of Halal Industries Complex and the launch of the UAE Emirates Global Centre for Accreditation and the International Halal Accreditation Forum, among many other initiatives." Other initiatives, Al Gergawi said, included Salma Food Relief Project and the International Humanitarian City, as well as the launch of a specialised centre for the development of talent in the Islamic economy, and the Dubai Center for Islamic Banking and Finance. "Today, we are happy to announce the launch of other initiatives that aim to support the realisation of the vision of His Highness Sheikh Mohammed to globalise the Islamic Economy including "International Waqfs Organisation", that will form a global umbrella to manage endowments and regulate endowments investments under the framework of unified modern legislation and standards," he said. "We are fortunate to have the support of Sheikh Hamdan bin Mohammed bin Rashid Al Maktoum in our effort to build the Islamic economy, which has put Dubai on the map and added a key sector to the emirate’s diversified economy," he added. Meanwhile, UAE Minister of State for Financial Affairs Obaid Humaid Al Tayer explained that the UAE is leading the world when it comes to the Islamic economy as it is home to the first Islamic commercial bank in the world. "Islamic financial institutions have proven to be very reliable in the wake of the recent financial crisis," he noted. "We should introduce an international framework to overcome regional and international uncertainties. It is crucial that we achieve proper standardisation in the field of Islamic finance. Sustainable development is one of the key goals of the near future and financial services will play a major role towards that goal." Chairman of the Dubai Chamber of Commerce and Industry and Board Member of the Dubai Islamic Economy Development Centre Majid Saif Al Ghurair said: "The progress that Dubai has achieved so far in its quest to become a global capital for the Islamic economy has not only attracted funds to the sector, but has also led to the creation of new services and high-quality products. The development of the Islamic economy will play an important role in ensuring the prosperity of people across the Muslim world. Al Ghurair added: "This summit allows us to pinpoint the challenges facing the Islamic sectors and determine the best channels and mechanisms that countries can use to develop their economies and ensure the prosperity of their citizens. Now in its third edition, the Summit will showcase the best of the Islamic economy, demonstrating its strength and the positive influence it can have on business and society. Dubai and the UAE, continue to set a benchmark in this field. Over the course of the Summit, we look forward to exploring the growing role that the Islamic economy can have in the Middle East and around the world." Meanwhile, Chief Executive Officer of the Dubai Islamic Economy Development Centre Abdulla Mohammed Al Awar said: "Dubai and the UAE have succeeded in building an integrated system including all sectors of the Islamic economy that coordinate together to achieve the ultimate goal of the Islamic economy, which is sustainable development." Al Awar added: "The Dubai Islamic Economy Development Center has made great strides to find solutions for the challenges facing this vital sector. With the support of our strategic partners, we’ve made great progress in creating international and local reference points to implement Islamic economic principles." Nadim Najjar, Managing Director for the Middle East and North Africa at Thomson Reuters, said: "Since the launch of GIES, we have seen increasing interest in investment opportunities within the Islamic economy field. Fund managers, institutional investors, and various financial institutions are particularly interested in the growth rates of the Islamic economic sectors, as well as the innovative trends led by startups in the digital, media, and consumer segments. Thomson Reuters is proud to bring in the industry players and promote best internal practices in Islamic economy." Following the opening ceremony, Sheikh Hamdan bin Mohammed proceeded to honour the organisations that were named the winners of the 4th Islamic Economy Award. In the Islamic finance category, the UAE’s Fajr Capital took home the gold for its efforts to connect financial assets to the real economy. The organisation currently employs more than 15,000 employees in 11 countries. 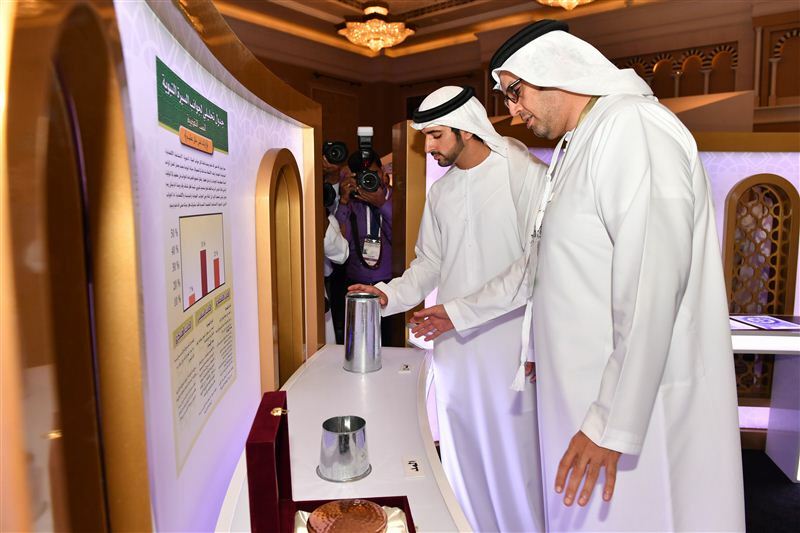 In the health and nutrition category, the Union Coop from the UAE was named the winner for being the first cooperative to apply Shariah-compliant business practices. Meanwhile, US-based Productive Muslim won for successfully promoting Ramadan as a month of productivity in more than 10 countries. UK-based Halal Booking won in the travel and hospitality section for coming up with an original system that allows Muslim travellers to figure out the overall cost of their halal trips. In the waqf (endowment) category, the UAE’s Noor Awqaf won for supporting Awqaf all over the world and redirecting proceedings towards charitable endeavours. Ethis Ventures from Malaysia won in the SME incubator category for the instrumental role it played in channelling funds to build 5,000 homes in Indonesia within a period of two years, in addition to its work in incubating startups. 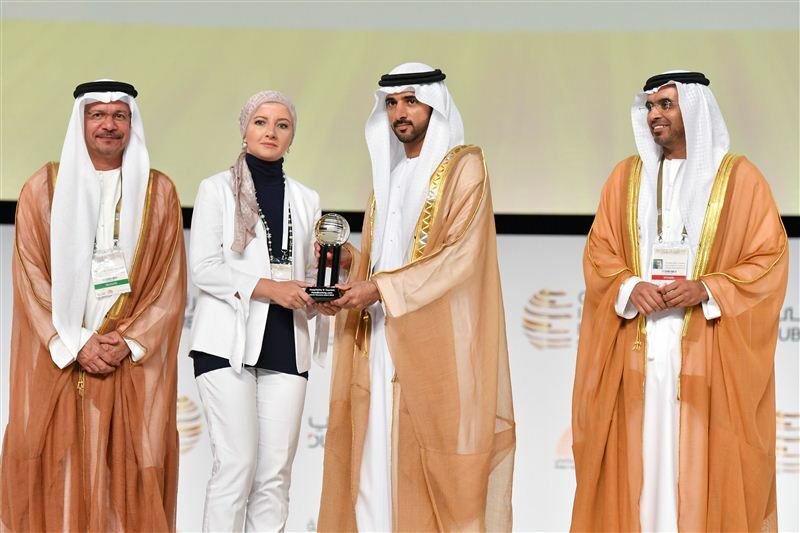 Meanwhile, in the Islamic economy’s knowledge infrastructure category, the award went to the UAE’s Dar Al Sharia for Islamic financial consulting services and its success in developing 50 new financial products. The awards for Islamic Art went to Haji Noor Deen from Mi Guang Jiang from China for her work in Islamic Arabic calligraphy and her efforts to teach it to the younger generations. The lifetime achievement award went to Sheikh Sulaiman bin Abdulaziz Al Rajhi for his role in founding a number of Islamic charitable organizations, in addition to establishing Al-Rajhi Banking & Investment Corporation, one of the largest Islamic banks in the world. 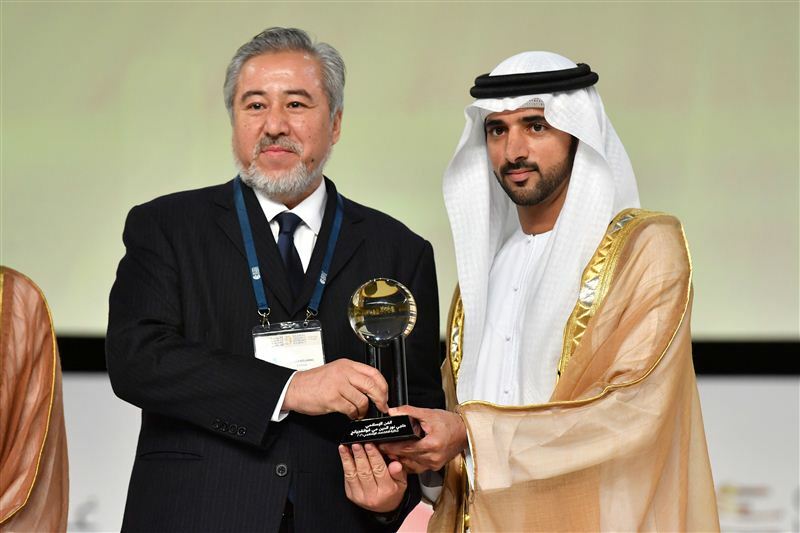 The award was received by Sheikh Salman’s son Dr. Mohammed bin Sulaiman Al Rajhi.